Defense customers rely on Curtiss-Wright’s long-standing relationships and reputation as a trusted supplier of advanced technology for products deployed on land, in the air and at sea. 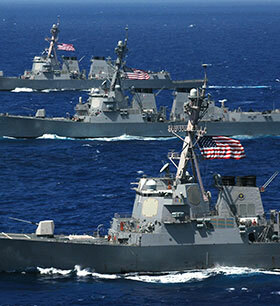 Curtiss-Wright makes critical contributions to vital naval, aerospace and ground defense markets. We support many high-performance programs and platforms in every branch of the U.S. military, as well as in several international defense forces, and are well positioned on key platforms of the past, present and future. Our product portfolio ranges from managing the flow of liquids on nuclear-powered submarines, to controlling the lift, flight and landing of aircraft, to stabilizing the weapons systems on armored tanks. For the U.S. Navy, we have had significant content on every nuclear submarine and aircraft carrier, and today we are the preferred supplier of pumps and valves used in the nuclear propulsion system. We also are developing advanced, electromechanical systems that enable aircraft to take-off from and land on an aircraft carrier deck. For the U.S. Air Force, we supply key embedded computing technologies, sensors and control equipment and coating services for many of today’s leading platforms, including the F-35 Lightning Joint Strike Fighter, P-8A Poseidon Multi-mission Maritime Aircraft and the Global Hawk unmanned aerial vehicle (UAV). 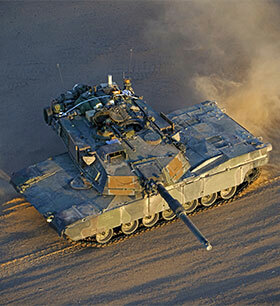 For the U.S. Army, our electronics technologies support leading ground vehicles, including the Abrams Tank, Bradley Fighting Vehicle and Stryker Mobile Gun System, and helicopters, including the UH-60 Black Hawk, AH-64 Apache and CH-47 Chinook. We also provide a variety of products to non-U.S. military programs in Europe, the Asia Pacific region, the Middle East, South America and Canada. Beyond in-service platforms, Curtiss-Wright also supports future military systems, such as the U.S. Navy’s next-generation submarine - the Ohio-class replacement program. 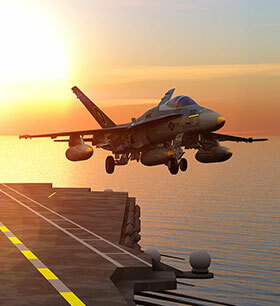 A technological thread that links naval, air and ground applications is Curtiss-Wright’s sophisticated embedded computing products and electronics. Within the field of defense electronics, Curtiss-Wright is the industry leader in the embedded computing market. We specialize in ruggedized computers and systems designed to execute very specific tasks in must-not-fail applications. We believe our technology is the wave of the future based on a unique, core competency that distinguishes our embedded computing business from our competition: Our technology is based on open-architecture standards, also known as Commercial Off-The-Shelf (COTS), that enables seamless operation across multiple diverse systems. This “plug and play” type of technology is extremely beneficial to our customers. Furthermore, we help armed forces “network” the battlefield to achieve superior situational awareness for battle force effectiveness and protection. Our involvement in helping achieve C4ISR (Command, Control, Communications, Computers, Intelligence, Surveillance and Reconnaissance) mission needs is of particular importance. Our critical technology supports the C4ISR functions of collection, processing, exploitation and dissemination of information of interest that supports military users. From upgrading the performance of in-service platforms to bringing the capabilities of future programs to reality, Curtiss-Wright’s innovative products and technologies add strength to all facets of the defense market.